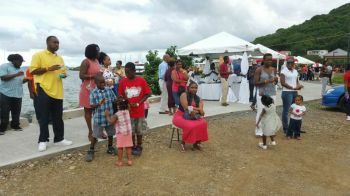 The event was one of the highlights on the calendar for the BVI Food Fete, which began on October 30, 2016 with a Barefoot Gourmet Soiree at Norman Island, and will touch every major island- Anegada, Virgin Gorda, and Jost Van Dyke. “We’ve had to make the tough decision to postpone the event because we want to have as many restaurants participating as possible so that the community and our guests can get a taste of Tortola in a grand way. While some restaurants have confirmed participation, we want to ensure that the numbers are sufficient to make it a successful event,” said Director of Tourism Sharon Flax-Brutus via a press release. Flax-Brutus added that presently the times have changed, where the guests coming into the territory are demanding more than just sun, sea and sand. “We see culinary tourism important to offering authentic experiences whether for our guests or locals of our staycation community. That is why we have our ‘Taste of the BVI’ events annually. We want our visitors and the local community to know what we are doing to ensure an exceptional guest experience. So, we are postponing the event at this time to give our industry partners the opportunity to take advantage of this platform to showcase their offerings. This is an event that is expected to encourage and drive traffic to their respective establishments. Remember, people travel miles for authentic experiences and we want to showcase this authenticity through our BVI Food Fete events,” she pointed out. The Director mentioned that the BVI Tourist Board is thankful to its partners and apologises for any inconvenience caused to those restaurants as well as the guests and members of the VI community who were planning to attend the event. She said the new date for the event would be announced shortly. Flax-Brutus noted that the BVI Tourist Board looks forward to welcoming the VI community and guests to the much-anticipated Jost Pork Festival and Jost Crawl on November 13, On the Rocks Bar Crawl and the Taste of Virgin Gorda on November 18 & 19, 2016 respectively, and Lobster Crawl on November 25, followed by Anegada Lobster Festival on November 26 and 27. When this news site contacted the office of the BVI Tourist Board, the postponement was further confirmed, however, the relevant authorities were not available for comments. 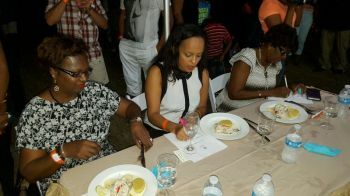 Do they know that BVIHCC is running practice dinners for the BVI culinary team, so they can go into annual competition? The event needs creativity. I paid good money last year and got nothing. People were still being charged at the gate only to get in and be told food done. Nobody wants to work all day giving food for free. Forget the entry fee and have vendors sell Tapas size portions. Agreed! Poor management, they sit back and let people do what they want so they can point the blame on someone else. Something is wrong with this picture, Tablesetting/Jr Chef competition postponed, taste of tortola postponed, No Onyan at Lobsterfest!! What next?? This is a annual event and you all cant get it right!!! Sorry but this is ridiculous! No money that's what wrong. Gov. Should not have to put money into this at least not much. Music and decorations. Then the restaurants do the rest, don't collect a fee let people come in and buy what they want. Each booth sell tickets so they don't. be handling money with food. They can contribute to put money to the music and decorations but not necessary. Do not this way it did not have to be post pone. Let them pay for their tent. 3000. Could have done this activity. It's time these department heads ask for help and suggestions. None of us knows it all. There are other people in the tourist board as well who have great ideas put the heads together and you will see what can happen. We need to stop spending unnecessary money. We need to get other things done in the bvi to attract tourism .. so let's work together. they want to spend a lot of money bringing in "Celebrity" chefs for an event which wastes all their money but then want everyone to pay at the gate to be lucky to get any food, which used to be free. All the chefs in the BVI have more reviews than one of the so called Celebrity chefs. People who are food people shouldn't try to run a food event. When suggestions are given they are not even heard. I think cancelling is a wilful and hateful act. Trying to throw the only thing the BVI have that good. " Mr. Skeleton " the marketing manager. I heard this guy speak on TV. He is great. He know his stuff.. The only person the Bvi has that it should be proud of. CCT. Lime. RTW. A waste. Failure. When comes to marketing.. Mr. Skelton is the best. He is not a friend of mine hardly know him. Just listening to him on TV. Some people just hate see greatness in others. Using their power Trying to undermine R.S. the marketing manager.. RS u will not fail. U R good at what u do. Don't take it on... They want to out your light. It's too bright for them.